Beautiful bright floral chintz on a black background, Shiny gold trim. Made of fine bone china in England. 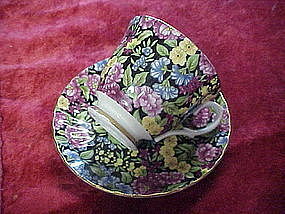 Full size cup with it's matching saucer. Pristine condition.